The film, which is being produced by Suicide Squad star Margot Robbie as well as directed by Cathy Yan, will see Robbie’s Harley Quinn teaming with the titular team to face a new villain. The team’s line-up, largely staying true to the original comics, will reportedly include the Mafia-focused vigilante Huntress as well as Black Canary – a master martial artist with an ultrasonic scream. It was recently rumored that the studio was looking at casting either Vanessa Kirby or Jodie Comer as Black Canary, but now it seems that they may be going in a different direction. This take on the character would mirror Dinah Drake in the current timeline of DC Comics’ Rebirth, where she is a former government agent who hides in plain sight by posing as the rock star “D.D.” while fronting a band called Black Canary – the same code name she uses when fighting crime. 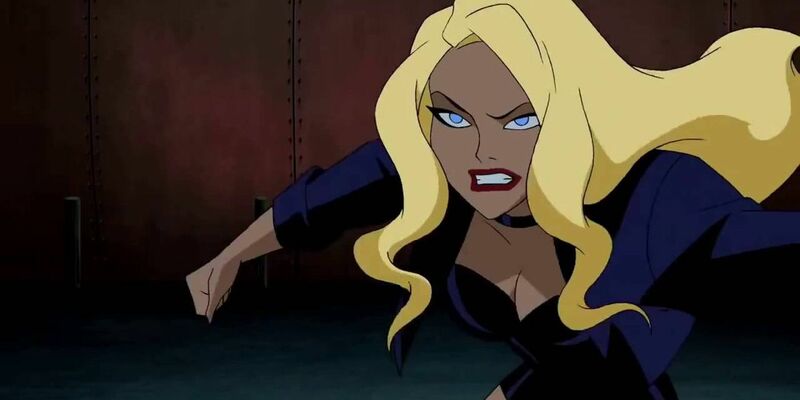 While the character of Black Canary has been traditionally portrayed as a light-skinned woman of unspecified ethnicity, there is a precedent for her to be depicted as a biracial character. Plus, she has often been portrayed by biracial actresses. Juliana Harkavy, who plays the role of Dinah Drake/Black Canary on Arrow, is of Dominican, African, Russian, Hungarian, and Chinese ancestry. This new rumor also lines-up with an earlier rumor which suggested that Warner Bros. had approached singer/actress Lady Gaga about a role in Birds of Prey, but that she turned them down. The rumors also fit an earlier statement by Robbie that they would be hiring a diverse group of actresses to bring the Birds of Prey to life. In addition to Black Canary and the Huntress, the team line-up will reportedly include Cassandra Cain, though it’s unclear if the studio is looking at Cain’s version of Batgirl or Orphan. Either one is possible, but making her Batgirl would leave room for Barbara Gordon to headline her solo Batgirl film without needing to tie into this movie. Still, this doesn’t account for reports that indicate Barbara will still appear in Birds of Prey. It is also worth mentioning that this rumor is largely speculative and that no official casting information has been released by DC Films or Warner Bros. regarding the Birds of Prey movie at this time. Still, this rumor, if accurate, does show that the studio is staying true to the basic concept of the character even as they attempt to present a more varied line-up of heroines. That’s something fans of Dinah Drake from the comics should be able to appreciate, as the racial ancestry of Black Canary is unimportant so long as she is still a master martial artist who can fight just as well as she can carry a tune.